Today, every business is a technology business. That means business knowledge alone is no longer a suitable foundation for a successful career. The School of Business at Stevens employs a unique, cross-disciplinary approach to education — emphasizing technology, data and analytics alongside leadership skills — that creates incredible employment opportunities for students. This focus also steers faculty research to address areas of greatest need in industry, keeping curricula ahead of the curve in a fast-changing business world. 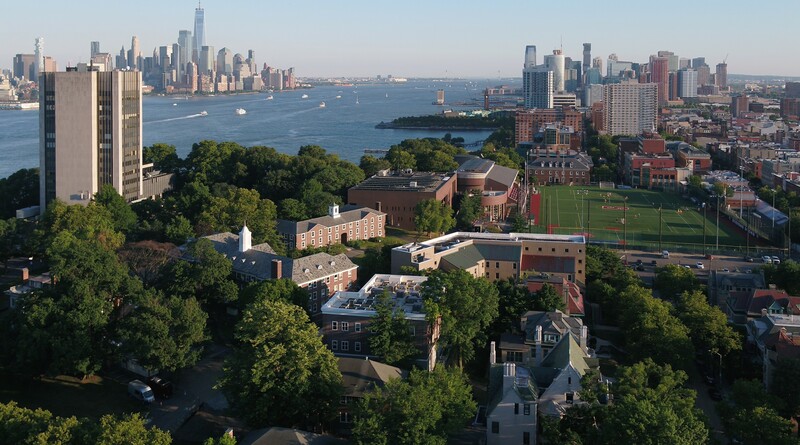 The university's location, just across the river from New York City, helps facilitate relationships between executives, faculty and students that add such tremendous value to a Stevens business education. Education and research at the School of Business stands out for an emphasis on data and analytics, and how technology is continuing to disrupt established corporate practices and create new opportunities. Our proximity to New York brings business to the classroom and helps undergraduate students land their dream jobs. Stevens alumni find themselves uniquely qualified to lead teams and projects owing to their technology-infused management skills. The School of Business is accredited by AACSB. Less than 5% of business schools worldwide have earned this designation. Faculty pride themselves on research with immediate practical use in industry, as well as advancing knowledge in management, Big Data, finance and more. Stevens students learn to bring a quantitative perspective to problems that allows them to solve complex challenges in business and technology management. Our rigorous Ph.D. program prepares students for a career in research, publication and education in academia. Businesses value hard workers who are team players. Group projects and team-building exercises help students become effective collaborators and communicators. Faculty at the School of Business bring a wealth of industry experience to the classroom, enhancing lessons and demonstrating real-world value to students. "Companies invest in people they see as being ambassadors for the business, where they're going to get a good return on investment. Stevens absolutely prepares you for a demanding workplace." "A lot of my classes tied into the topics I make videos about. Courses in economics and social media marketing were eye-opening, in terms of understanding companies and their behavior." "We're exposed to so many great opportunities — not just the great location and the internship opportunities, but also so much technology and science. That's where we have an edge."